Thank you for tuning in to the HemaClear® Training Center. In this short video we will discuss the proper application of the HemaClear®. Today we will discuss the proper application of the HemaClear® Model A to the ankle. Once it has been determined that the patient fits within the Model A size guidelines, open the sterile packaging, introducing the sterile Model A to the surgical field. Note that the packaging is dual-peel packed. Be sure to save the Protective Cutting Card for the end of the procedure. You are now ready to apply the Model A onto the patient. Place the patient’s leg flat on the table and place the patient’s toes within the Model A cup, or have your assistant do so. 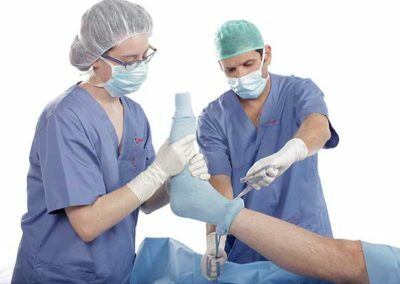 Next, the surgeon should hold the handles of the HemaClear® so that one handle is directly over the toes and the other handle is placed over the heel. Pulling the handles, advance the Model A to mid foot. Next, have one of your team members grab and raise the foot, while applying axial traction. Grabbing the handles, advance Model A over the the heel, using the bottom handle as leverage. 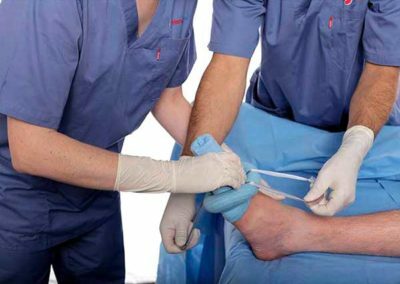 While pulling Model A proximally towards the chest of the patient, advance the ring to just below the calf muscle, approximately 15 cm (6 inches) proximal to the lateral malleolus. The tourniquet is now up. Dictate the tourniquet time. Once HemaClear® has reached the desired occlusion location and the tourniquet time has been recorded, remove the Model A cup exposing your surgical area. To start your procedure simply cut the ribbons off. You are now ready to begin your procedure. When you would like to remove HemaClear® place the Protective Cutting Card from the distal side of the ring under the HemaClear®. Utilizing a knife, cut the ring in slow orderly passes. Once you’re through the internal silicon ring you can use scissors to remove the rest of the device. Your tourniquet is now down. Note the tourniquet time. Thank you for tuning in to this HemaClear® training segment. If you have any further questions please contact us or ask your local Product Specialist. A brief training shows what you need to know in order to place HemaClear® correctly. The recommended placement location on the lower leg is from 5-15 cm (2-6’’) above the lateral malleolus. If the circumference at the desired occlusion location is not within 22-32 cm, use another appropriate HemaClear® Model. 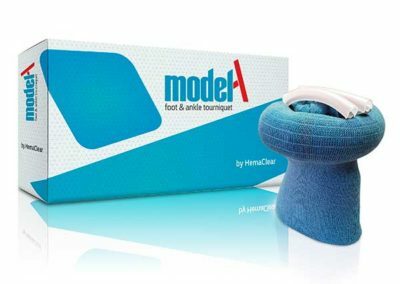 If the patient’s foot is larger than 29 cm (shoe size 14 or larger USA, or 47 or larger in Europe) use HemaClear® Large (Orange or Brown) at the same lower leg location specified for Model A™. 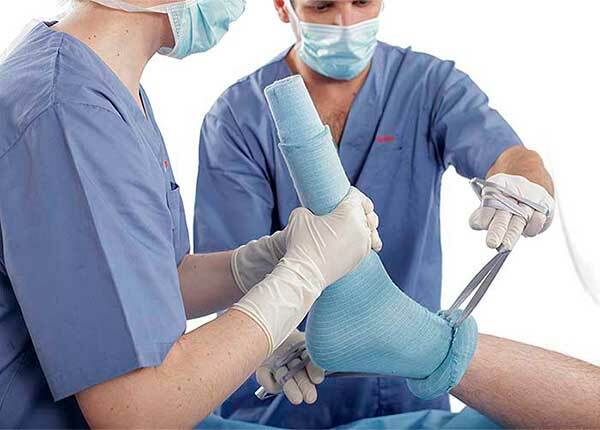 Insert the tips of the toes into the oval opening of the device application cup with the handles facing away from the patient. 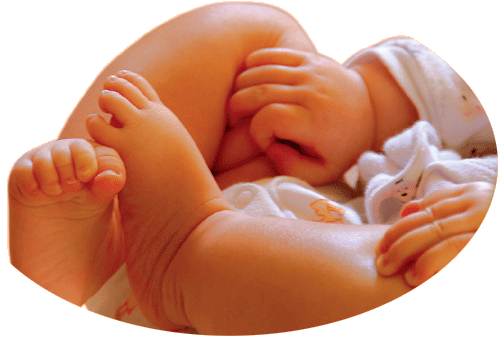 Verify that all toes are inserted. Grab the handles firmly and pull them proximally towards the patient, along the axis of the foot. 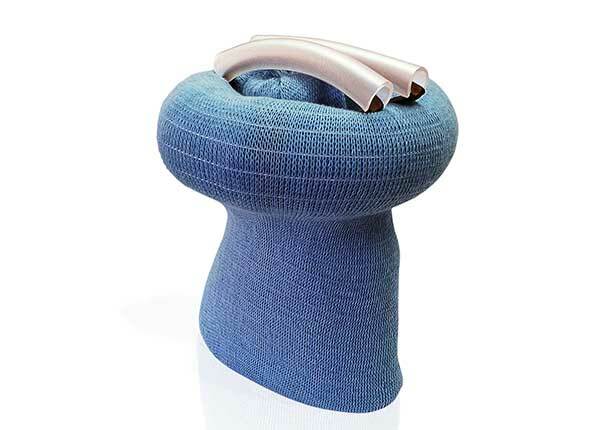 Use the bottom handle to pull HemaClear® over the heel. 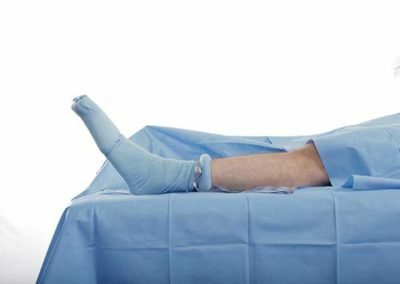 Roll the device on the lower leg until it reaches the desired occlusion location. The device will not roll beyond 50 cm (20’’) from the tips of the toes. 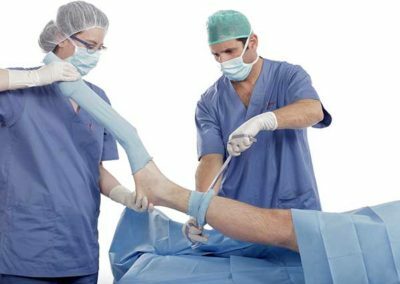 If a more proximal position is required, use an alternative HemaClear® Model (HemaClear® Large or HemaClear® Extra-Large). The HemaClear® Model-A™ is constructed with two segments of elastic stockinet. Once the device reaches the desired occlusion location, the distal sleeve (covering the applicator and toes) can be easily pulled away and removed, or cut to reveal the surgical site. If it is decided to cut the stockinet, apply sterile water or saline before cutting the stockinet. The surgical site may be covered with a sterile transparent drape if desired. NOTE: Wetting the stockinet prior to cutting minimizes the amount of free fabric fragments.